Isn’t there a big difference between the two photos? 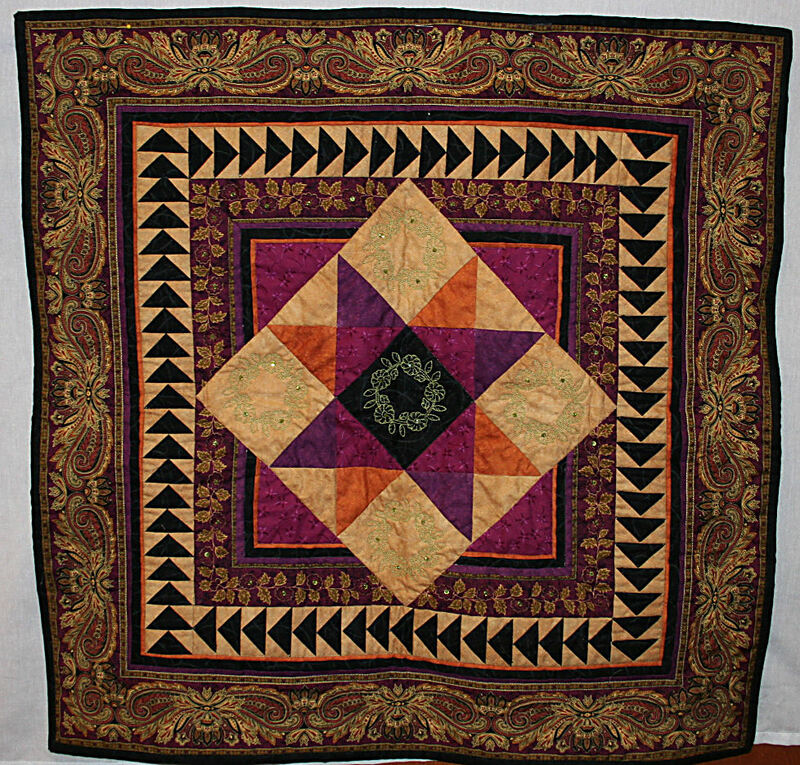 When I made the piece, my intent was to emphasis the curved pieced center. It failed miserably. The fused fabric strips were applied willy nilly. Big mistake. 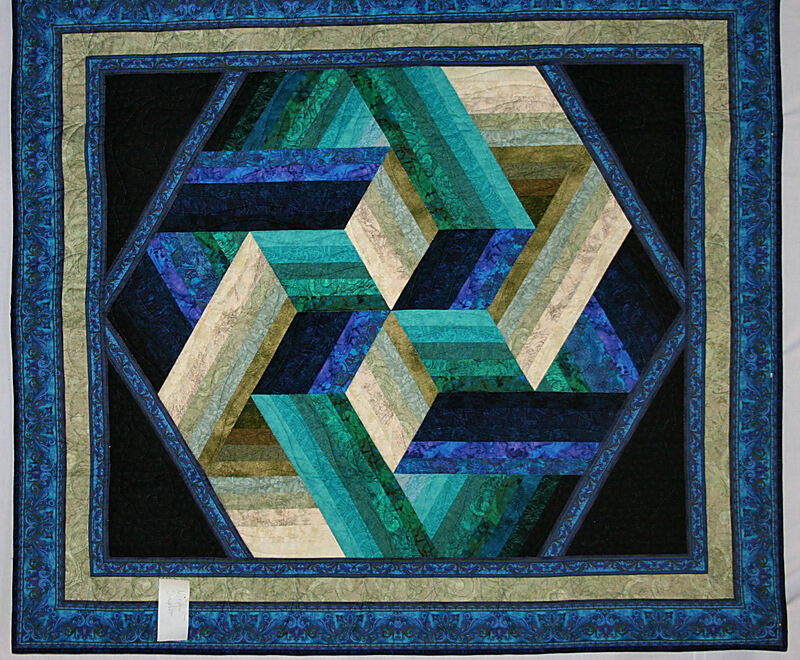 The pieced curves are hard to see, and the center looks chaotic. 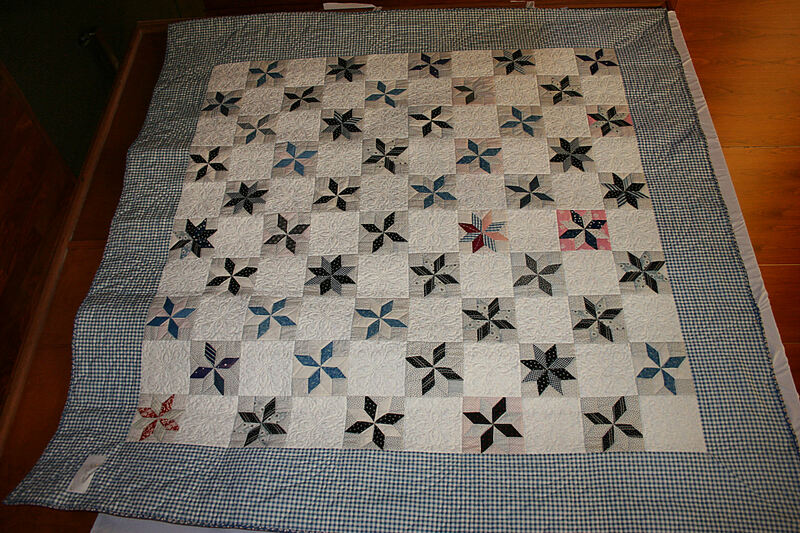 I removed most of the fused strips – not all that hard to do – and re-aligned them to echo the curved pieced background. Ahh, much better. But I didn’t stop there. I also ripped out some of the close zig-zag stitching so it was all on one side of each long curve. Again an improvment. 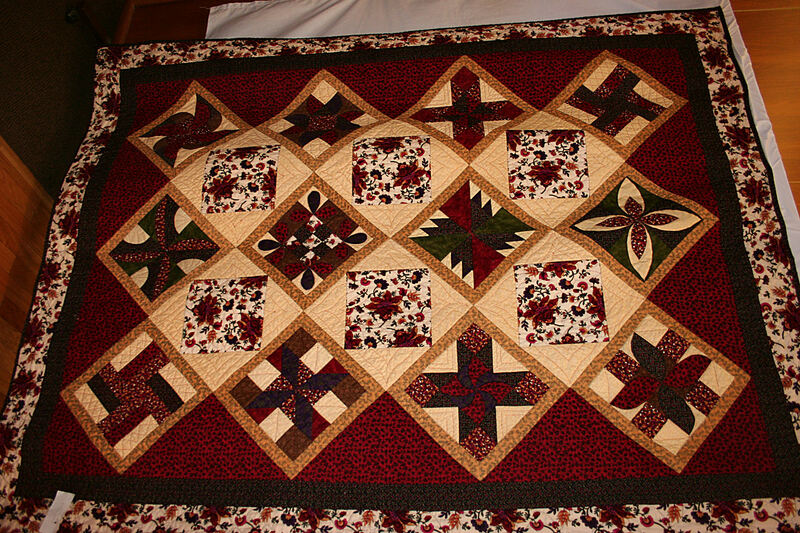 Next, I started adding more rows of quilting. You can see it on the bottom horizontal curve, but I’m not too sure I want to densely quilt the center. 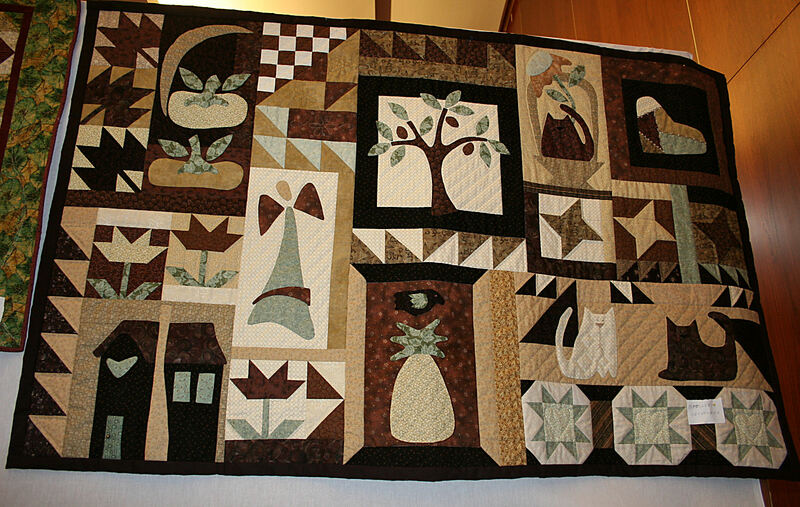 I think it will throw off the border, so the quilted line might be removed, and no more quilting added. As for the border? If I was making this again, I would never put that border on. It totally stops the design. It would have curved edges, and maybe some solid black fabric on 2 of the edges. This way the flow would continue off the piece and into infinity. 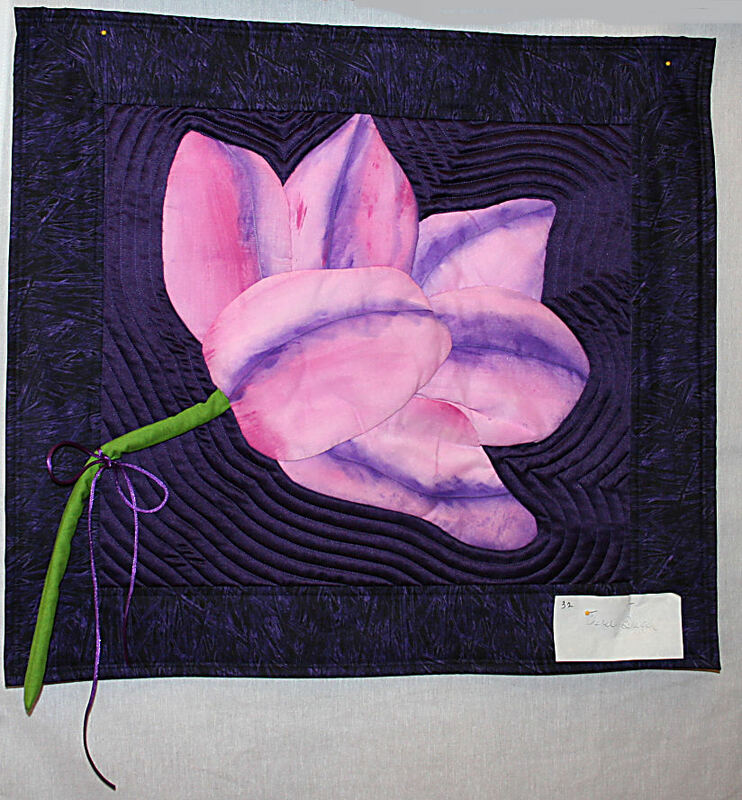 Lastly, I’d probably applique the hummingbird instead of embroidering it. You might be saying, “Hummingbird? I don’t see a hummingbird. Where is it?” 😉 It’s in the bottom left corner, and it was barely visible in the original version. Now it is sporting 4 different colors of acrylic paint, plus some ink, and finished off with a Shiva paintstick. Before it was embroidered and couched, and even though it was several layers of sewing with various thicknesses of thread, it was hard to see. What am I learning? A lot. First off, don’t rush through a project. Secondly, follow through with your intent. 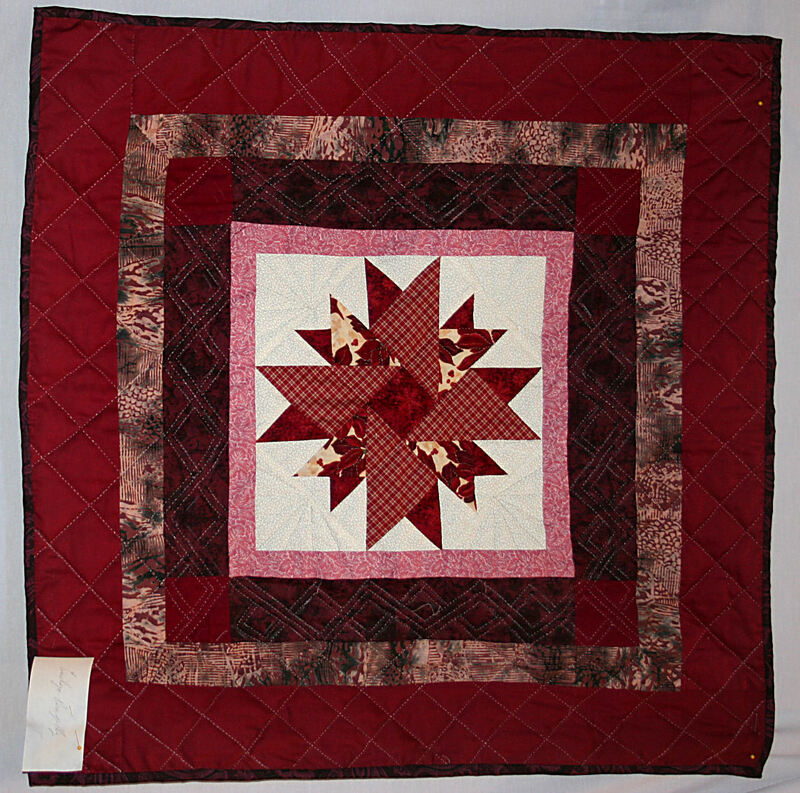 I spent a lot of time hand piecing that center, and instead of echoing the curves – as I intended – I put the strips on so they looked balanced across the top – with no thought to the intent. I ended up with something that looked like a tic-tac-toe drawing. Reworking this quilt after I learned more about how line functions in design is a success in my eyes. 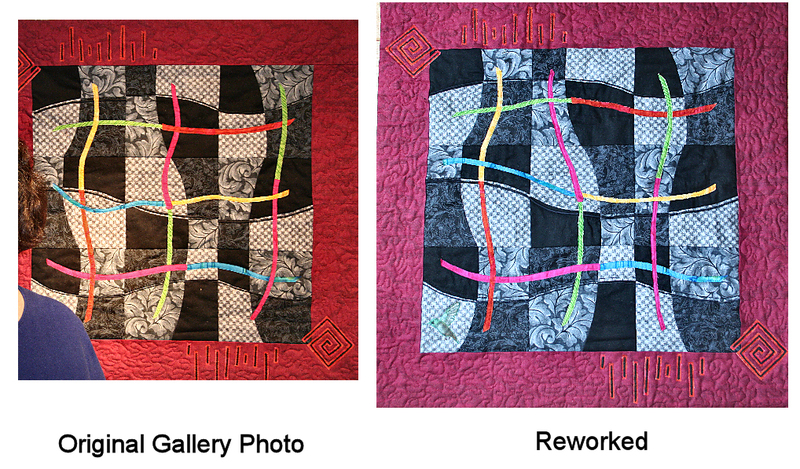 By applying the textbook Line design principles to an art quilt, I’m making the transition from book work to studio work. Am I psyched? You bet. Do I want to do more? You bet. Did I get the line studying done in one month like I originally stated? NO. Does that get me down? NO. I’m moving at my own pace. Slowly but surely I will read, absorb, and make a new art quilt or revise one already made for each design principle. It’s been ages since I’ve blogged. My husband, daughter, SIL, and myself took a short trip out of state to visit with my husband’s family, and when we got back home I reinjured my left knee, not once, not twice, but three times in the month of April. I’ve about had it with RICE – rest, ice, compression and elevation. It felt great to start physical therapy again in May. 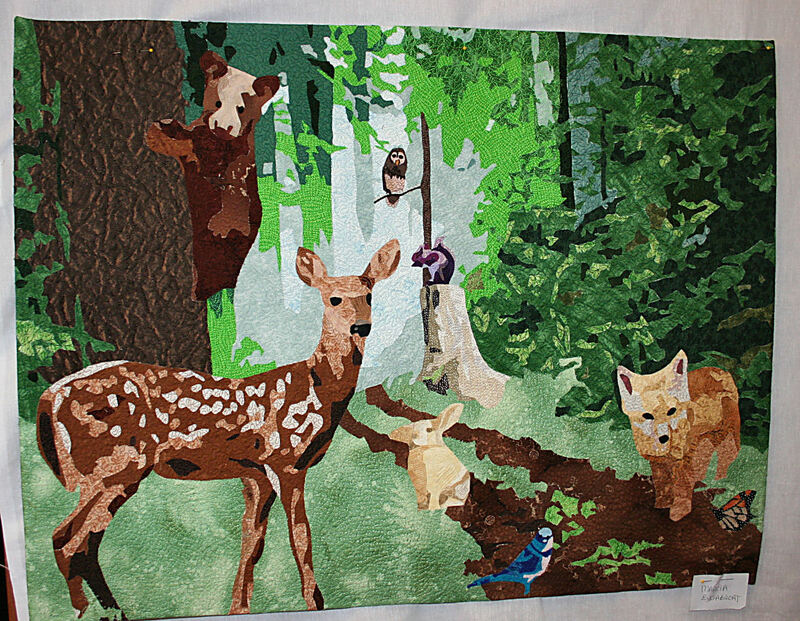 The pictures I have to share with everyone are from Genesse Valley Quilt Club’s April meeting. It was the last time I got out and about to a textile group. Don’t feel sorry for me though. I’ve been catching up with a lot of reading and managed to get hooked on Zynga’s Farmville. Thank heavens, the hold has abated, and I am back to a more balanced life style. This woman has got to start teaching. Her eye for color, composition and workmanship is spot on. My line study is not forgotten. I’ll be posting more about that next week, and realized I don’t want to keep to a monthly deadline with this endeavor. Life has a habit of getting in the way of any schedule I try to make, so I’m going to go with the flow, and take it one day at a time. It’s less stressful and a lot more enjoyable.